Actor Robert Guillaume has died at the age of 89. He died on the 24th October 2017 in his home in Los Angeles after battling prostate cancer. “He kinda went the way everyone wishes they could, surrounded by love and in his sleep,” Donna Guillaume, his wife said. Guillaume is survived by four children, all of whom had spent time visiting with their father in his final weeks, according to Donna. He first played sarcastic and irascible butler Benson DuBois on the over-the-top soap opera parody series, ‘Soap’. The show debuted in 1977 and also starred Katherine Helmond, Richard Mulligan and Billy Crystal. His performances on that show won Guillaume the Emmy for outstanding supporting actor in a comedy series in 1979. The character ‘Benson’ was so popular that ABC network created Benson for him and that series ran for seven seasons from 1979 to 1986. On his own show, the title character was governor’s director of household affairs, then state budget director, lieutenant governor and candidate for governor. He won the Emmy Award for outstanding lead actor in a comedy series in 1985 for Benson, the last of six times that he was nominated for an Emmy playing the character. He became the first black actor to win that award. In accepting the Emmy, he joked, “I’d like to thank Bill Cosby for not being here,” because Bill had taken himself out of contention that year. Guillaume was very careful of not playing his role as a racial stereotype common at the time. “In all honesty and candor and modesty, I always wanted the character to have that kind of upward mobility because it mirrored the American dream,” he told the Washington Post in 1985. After the end of Benson he starred in the short-lived sitcom The Robert Guillaume Show in 1989, as well as the series Pacific Station (1991-1992) and Sports Night (1998-2000). He suffered a stroke in 1999 on the set of Sports Night but was able to return to his role within weeks. 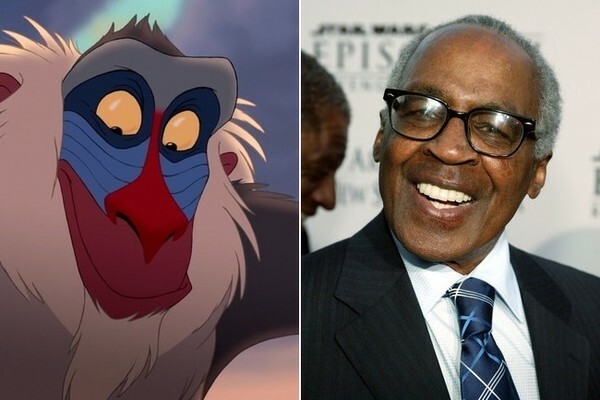 Robert provided the voice for the mandrill ‘Rafiki’ in Disney’s animated 1994 hit The Lion King, a role his wife said he loved so much and wanted to do so well.